When moving, the last thing that you want to is spend your last few moments in an old home cleaning. With our man and van York service we have helped countless numbers of people move, so why not take a look at our quick cleaning tips to make moving day bright and clean for all? Newspaper is your friend on moving day. Perfect for cleaning mirrors, glass and windows – papers can be thrown away after use. Less to pack back up! We all dread the oven. It tends to be the area we shut our doors to. Out of sight, out of mind. When moving we have no other choice but to tackle it. 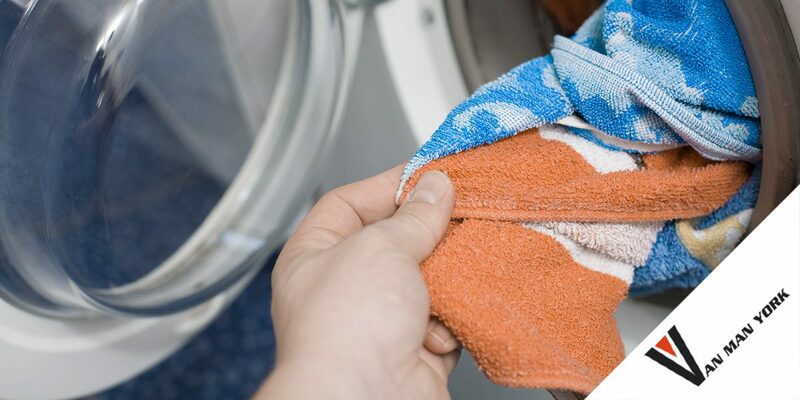 When baking soda reacts with the vinegar it creates a quick, simple and effective de-greaser. A twenty minute job becomes five minutes! Slather on, leave while you pack or unpack plates and cutlery and then wipe off with a damp cloth. Easy! Mix together one teaspoon of liquid soap, antibacterial oil and baking soda with water. This creates the perfect paste to clean any dirty bath tub. Revive any tired tub within seconds with this quick and effective solution. Spread on, leave while you whizz over the tiles, basin and around the taps and then wash off. Moving day sometimes means broken glass. Our quick tip, use bread! This can be pressed onto the area where something broke, collecting all the glass safely. Disposing of broken glass has never been so easy! Run over with a pan and brush or a hoover afterwards to collect any stray shards. We spend 1/3 of our lives in our beds. Imagine what is left behind. Did you know you can revive any mattress with vodka? Fill a spray bottle with vodka and lightly spritz the mattress. Leave it to air dry and before you know it the alcohol will kill the odour causing bacteria and disinfect the mattress. Fill a glass with water, halve some lemons and add to the glass. Put the glass in the microwave until the water boils. Before opening, let it sit. When siting it will gently steam all the microwave scum away – with very little effort! No matter how clean our dishes come out, if you have a dish washer, you know how dirt can linger and collect in the cutlery draw and on the floor of the machine. Give your dishwasher some TLC by running it on its hottest cycle with nothing but a container full of white vinegar in the top rack. Dust the bottom with baking soda then run a short hot cycle. Use 4 Alka-Seltzer tablets to speed up slow drains. Drop the tablets down the drain and add 250ml of distilled vinegar. Leave this for ten minutes, then rinse the drain with boiling water. Are you planning to use some of our tips? Tell us what works for you on our social media!